I recently became a landlord of a property that was already tenanted. The existing lease (6 years) is to a Ltd company. This company is subletting as a HMO and has the appropriate licence from the local authority. The lease does not explicitly prohibit subletting. The lease had a break clause and I have served a break notice. The company do not occupy the property themselves. From my understanding, it is a commercial lease (not in LTA 1954) and once the break date comes, their tenancy is terminated. I understand the subtenants can, and most likely will, become my direct tenants. The problem, however, is that the Ltd company (an estate agent) doesn’t accept the break notice will end their tenancy and are in denial of it and most likely have not sought legal advice regarding it. In turn, they keep misleading the subtenants about the situation telling them it’s all fine and nothing will happen. 1. 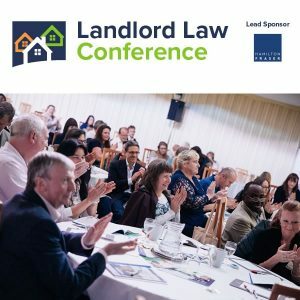 How do I convince the Ltd company their tenancy has ended and they have no authority of the property? 2. How do I convince the subtenants that I will be their immediate landlord and they pay rent directly to me? 3. There are no records forthcoming from the Ltd company and if the subtenants don’t share any records with me, then how am I supposed to assess the nature of their occupation and their relationship with me, if any? 4. If they (subtenants) fail to communicate with me and fail to provide documents (tenancy and ID proof) and can I evict them without a court order? 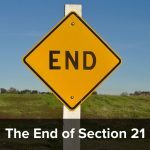 How do I determine the subtenancy was unlawful? Is the above correct? I should start by saying that rent to rent is a complex area of law and your best option is to instruct specialist solicitors. However, from what you say your tenant’s tenancy will be a commercial and not a residential tenancy and when it is ended in most cases the subtenants will become your direct tenants, provided the subtenancy was lawful. Probably the best way is by instructing solicitors and getting them to send a solicitors letter. As I found when I practised as a solicitor, the headed paper tends to have its effect and people will believe things more readily if they are told it by a solicitor. Again, a solicitors letter is probably best. If they refuse to accept this, tell them that if they pay their rent to anyone other than you after the intermediate tenancy has ended, it will not discharge their liability for rent and you will be entitled to sue them for it and obtain a CCJ – even though they may have paid the money to the former landlord. Tell them that if they are not sure about this they should take legal advice, and certainly take legal advice before paying rent to their former landlord. Make it clear that if they pay the rent to their former landlord you will be suing THEM for the money not the former landlord. They will then be faced with the difficult job of getting their former landlord to pay the money back to them. Well, this is one of the risks of buying a tenanted property without having been provided with proper paperwork regarding the subtenancies before completion. 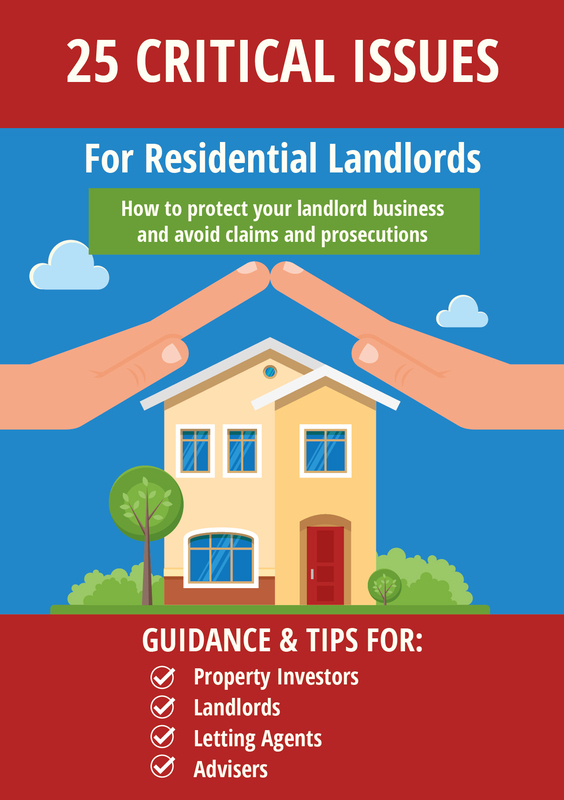 Its always a big risk as if the tenants claim to have, say, a protected tenancy (where they have long term security of tenure) how are you going to prove otherwise? We have a free guide here which will help you assess their tenancy type but if you don’t know the circumstances it is always going to be a bit of a guess. 4. If they (subtenants) fail to communicate with me and fail to provide documents (tenancy and ID proof) can I evict them without a court order? No. It is illegal to evict any residential occupier – unless the circumstances in section 3A of the Protection from Eviction Act 1977 apply. Which, from what you have said, is unlikely. The subtenants are actually under no obligation to provide you with anything. It was up to you as purchaser of the headlease to satisfy yourself of these things before purchase. In some circumstances, a tenancy may be binding against the person who granted it (even if that person is a squatter himself and not authorised to sublet) but not binding against the true property owner. The true property owner would be able to treat the occupiers as squatters and evict them through the courts using the special ‘squatters’ procedure. So it depends on the circumstances. In this case though, based on the facts you have given, I don’t see how you CAN prove that the subtenancies are unlawful. Indeed, from what you have said, the occupiers almost certainly WILL be valid tenants (you have referred to them throughout, for example, as subtenants). You have stated that the lease does not prohibit subletting and the company even have an HMO license. How then could you prove that the occupiers were there unlawfully? Which is what you would have to do in any claim for possession or when defending a claim for compensation if you evicted them without a court order. In fact, as you were not around when the subtenants moved in and don’t have any documentation, they can probably say what they like – you have no way to prove them wrong. If you are happy to allow the subtenants (or occupiers if they are not tenants but I will refer to them as the subtenants) to remain so long as they pay the rent, you have less of a problem. Once you have convinced them that you are the landlord and they start paying their rent to you – talk to them. Try to find out more about the circumstances of their tenancy and see if you can get a copy of their tenancy agreement from them. If they fail to pay their rent – then it will be a lot easier to get a possession order as even protected tenants (who arguably have the strongest security of tenure) can be evicted for non-payment of rent. It may be a bit tricky drafting up the claim form but it could probably be done. If on the other hand, you are looking to get vacant possession of the property, maybe to re-develop it, then you have a problem. It will almost certainly be very difficult, and expensive, (and may be impossible) to recover possession as you are simply not in a position to prove your case. For example – assuming they are assured shorthold tenants – how can you prove that the landlord has complied with all the pre-requisites for using the section 21 procedure? As I said at the start of this answer, I think your best option is to instruct solicitors. A good way to go would be to use our telephone advice service to get advice from a solicitor at Anthony Gold (who are pretty expert in rent to rent situations) and then take it from there. Oh if I had pound for every time…………………………. I once dealt with an agent where refusing to relinquish control of properties to the owner was his standard business model, in fact he even went so far as to carry out extensive building conversion works without the owner’s knowledge or permission. the owners took him to court, we took him to court and each time he managed to blag an adjournment or generally drag things out, all the while amassing more rent, amounting to tens of thousands of pounds while everyone followed the legal route that he exploited. Even when the courts order him to walk away he kept returning to the properties to collect rent, persuading the occupants that the owners were lying. This nonsense went on for over a year. People were tearing their hair out. My advice to Abdul, same as yours Tessa, bring in a lawyer and I would add from personal experience, dont wait for a peaceful solution. do it NOW! What would have been the legal position if the tenants had stopped paying rent to the intermediate lease-holder (and kept it safe in another account)? Presumably, if he didn’t walk away at that point, the agent would then have had to attempt to evict via a S8 but would the tenants have had a valid challenge to his title, or been able to ask for the court’s decision to be delayed contingent on the result of the other hearing when it eventually took place, or would the court have had to evict regardless of the circumstances if there were more than 8 weeks arrears (assuming the tenants couldn’t delay the hearing sufficiently)? If you take on the tenants direct then you will need to get the HMO license in your name before you can use a section 21 to evict any of the tenants. He can increase rent, surely?